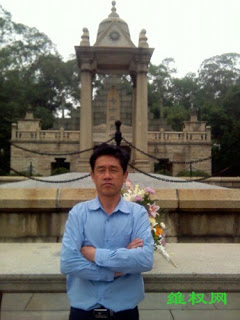 Police in Hunan Province have detained Yin Weihe (尹卫和) on suspicion of “creating a disturbance” for using the Internet to expose graft and call for commemoration of June Fourth victims, just days after netizen Duan Xiaowen (段小文), “Uncle Anti-Corruption,” was criminally detained for his own online activities. 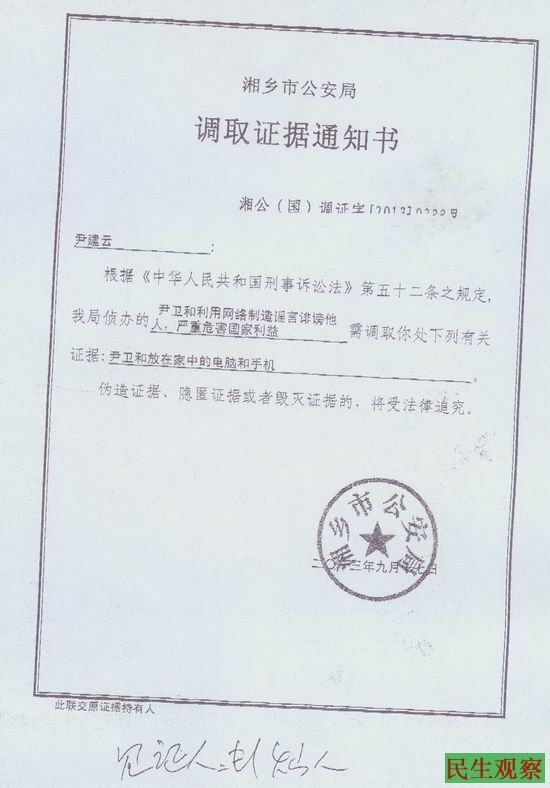 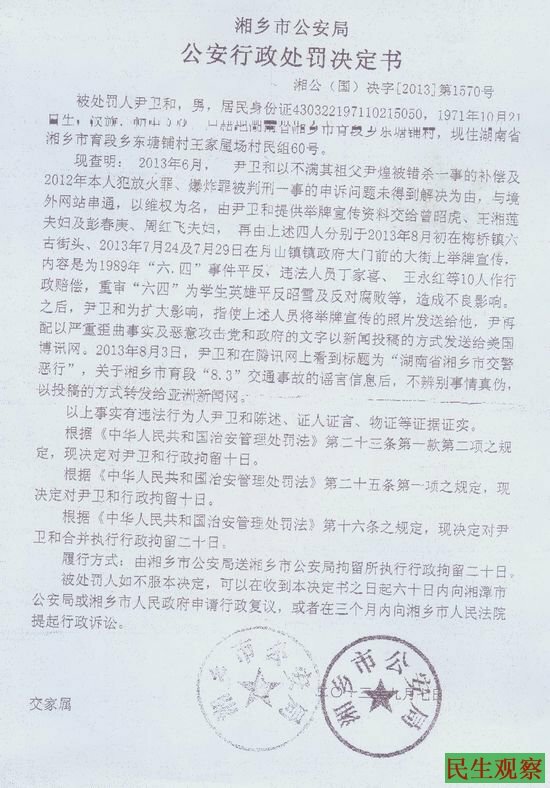 In addition to disclosing police officers who took bribes, according to the criminal detention notice, Yin demanded the government pay reparations to individuals detained for peaceful assembly. 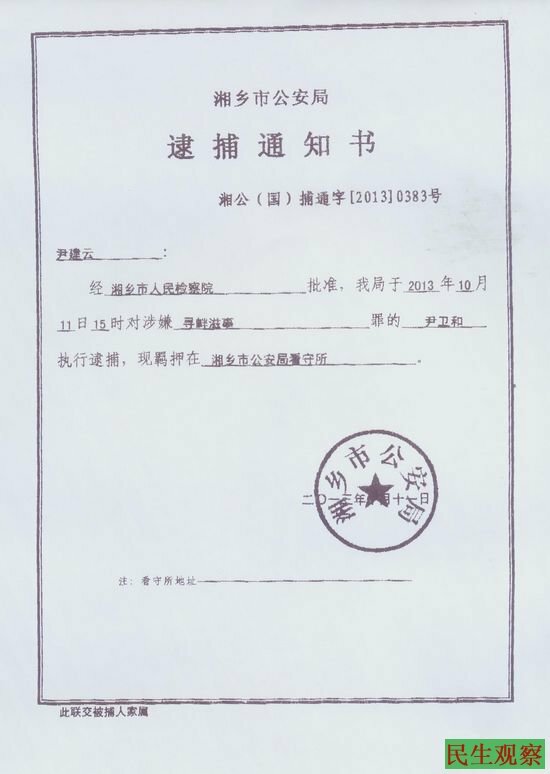 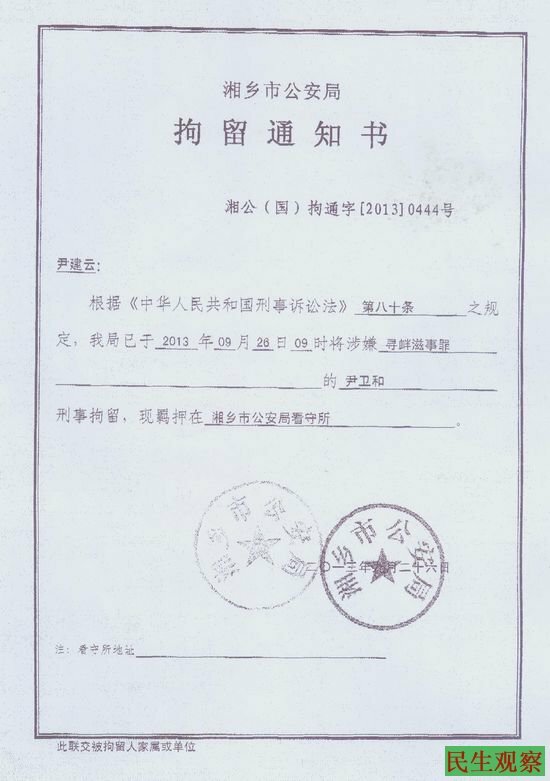 The Xiangxiang City Public Security Bureau confiscated Yin’s computer and cell phone in efforts to concoct charges against him for “creating rumors to defame others” and “severely jeopardizing national interests.” Yin was originally seized for “disturbing public order” and was given a 20-day administrative detention. 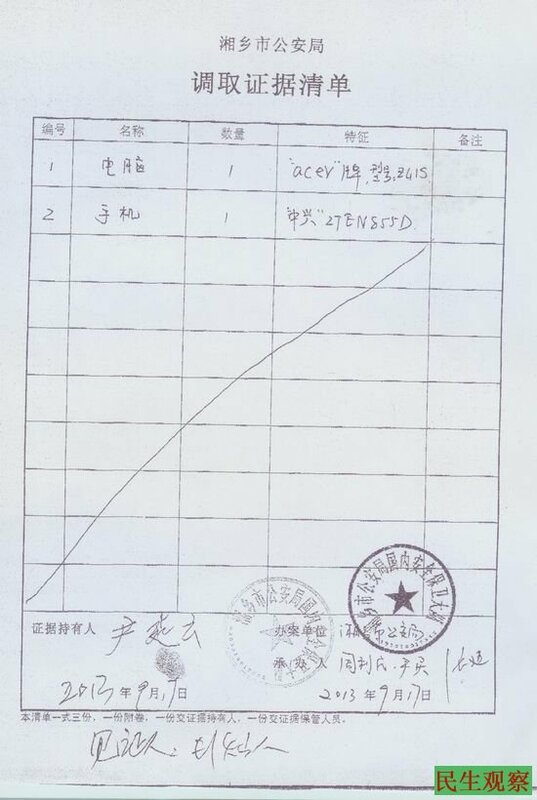 On September 26, when Yin was supposed to be released from custody, police instead detained him on suspicion of a new crime.